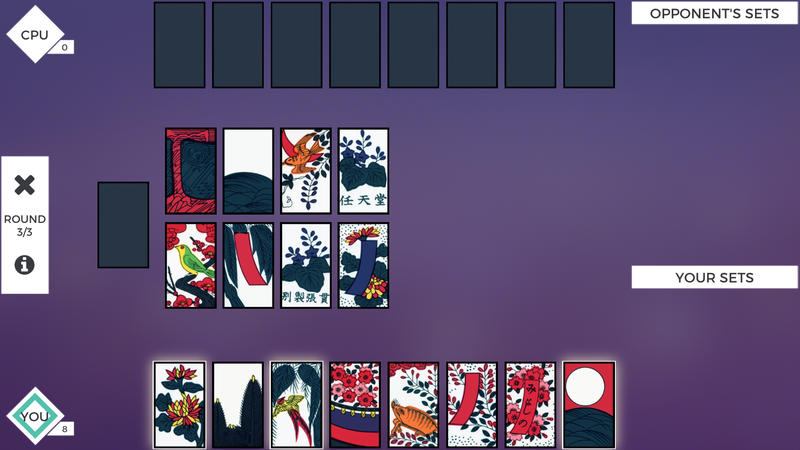 Akayoroshi lets you play Koi-Koi, a traditional Japanese card game played with the beautiful Hanafuda cards (flower cards). 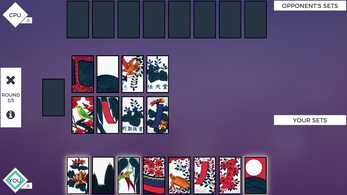 A deck of Hanafuda cards consists of 48 cards, organized in twelve suits (months), each one represented by a different plant. 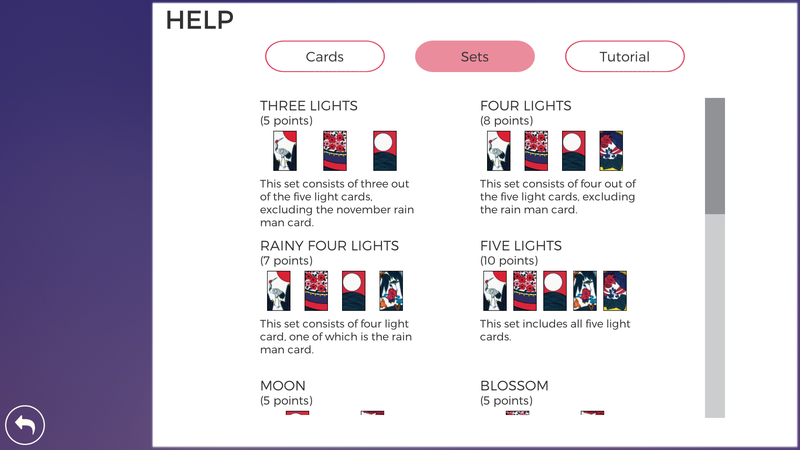 Create special card combinations (sets) to earn points. 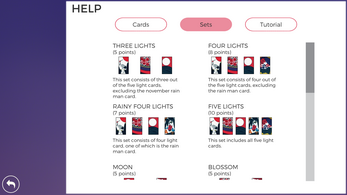 Players can gain cards by matching the cards in their hand with cards of the same month on the table. 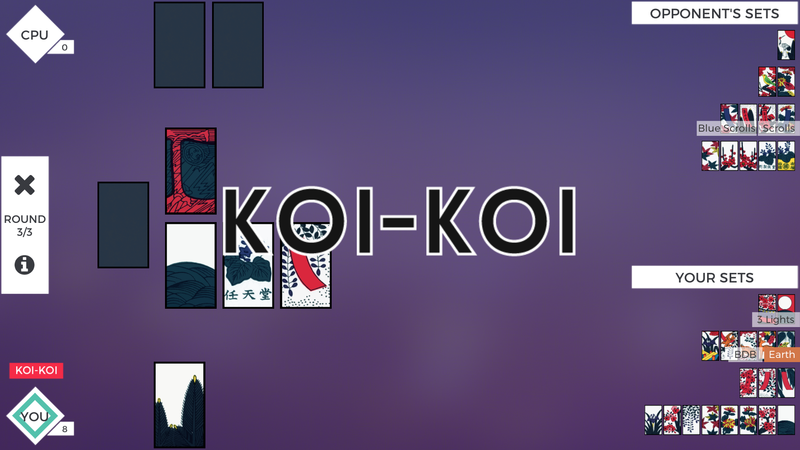 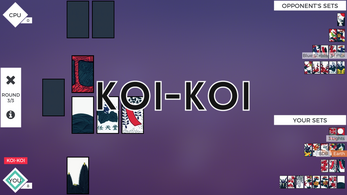 Once a set has been completed, the player can end the match and cash their points or they can choose to continue (calling Koi-Koi) in order to try to earn more points.